After self-publishing my book, To Bee or Not to Bee, I got a website made (http://ToBeeBook.com) which included a 60-second trailer. Then I identified email addresses of over 100 foreign literary agents through Internet research and sent them a brief descriptive email with the link to the trailer. This piqued the interest of a dozen or so who requested a review copy. Several of them took me on and offers for translation rights from foreign publishers started coming in — Korean, Italian, Spanish, Portuguese, Slovenian, Chinese, and Romanian — with advances totaling nearly $40,000. Several other languages are in the works. I strongly recommend using literary agents (as opposed to contacting publishers directly); they are worth their weight in gold. Given his success with selling foreign rights, he then sent out 50 books to American literary agents. With several responding, he chose one and within two months, the agent got him a contract offer from Sterling Publishing (a division of Barnes & Noble). As a result, his book was released as a hardcover in the U.S., Canada, United Kingdom, and Australia. Literary agents are worth their weight in gold when it comes to selling foreign rights for books. 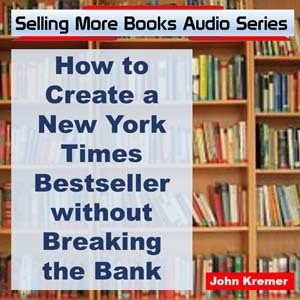 The following is adapted from an interview conducted by Author Marketing Experts with John Penberthy, providing more details on how he sold $40,000 worth of foreign rights. So what does it take to make a bundle on foreign rights? Here is a conversation with John Penberthy about securing foreign rights sales. He said it really wasn’t that hard. It just takes a dash of persistence, patience, and creativity! What’s the most important thing authors should know when pitching their book to a foreign rights person? Make it brief and succinct. You’re pitching via email, agents get a ton of emails/day and you have to have something that will be quick and grab their attention. In my case, I wrote a brief two-paragraph letter with a link to my 60-second trailer. So they could tell very quickly if it was something they might be interested in. At the end of the trailer was a link to my site, where I offered the ebook version for free as a way of generating buzz. Interested agents could then read a few chapters to see if they wanted to request a hard copy. One thing that strongly worked in my favor was that you can read my book in 90 minutes. Agents are overwhelmed with book submissions and loathe the amount of time it takes to read them, so 90 minutes was a breath of fresh air for them. Offering the ebook free was huge because it quickly disseminated the book all over the world and resulted in all kinds of interesting inquiries. You don’t want to do it forever, but when you’re starting out, it really helps generate buzz and eliminates all risk for prospective buyers. It was instrumental in many of my foreign rights deals. Offering your ebook free is a quick way to disseminated your book all over the world. What types of books work better for foreign rights? My book, To Bee or Not to Bee, is a spiritual allegory about bees, sort of a next-generation Jonathan Livingston Seagull. People the world over have sought more meaning in their lives through spiritual understanding from time immemorial, so I felt my book had universal appeal. I had the illustrations drawn in a Chinese watercolor style in order to reflect the story’s Eastern approach to spirituality, which is really taking hold in the West (but also to appeal to the huge Asian market). This has worked well as two of my contracts are for Korean and Chinese, and I think I’m close in Taiwan and Japan. Each author has to evaluate the extent to which their book will appeal to those within 1) the U.S., 2) Europe, 3) Latin America, and then 4) Asia. These are the four big markets and each is a step removed from the previous one. So many books are written specifically for Americans because America is the biggest market. You’re probably not going to get any foreign deals for a cookbook, but I would think computer and Internet books would do well in most countries because computer people all speak the same language. Each author needs to assess the universality of his or her book’s appeal. What should be included in the foreign rights packet? Once I got email replies from interested agents, I sent them just two things — the book and a detailed cover letter explaining the book, its uniqueness, market appeal, and track record. For example, my book is a strong gift book — we’re averaging nearly 5 books sold per customer through our website. So I always made sure to mention this and the fact that To Bee or Not to Bee is a perennial gift book that would be in print for decades. Multiple sales and longevity definitely grab the attention of prospective publishers. A zillion new books are published each year and publishers are always looking for something new and different, so I would encourage people to explain why their book is new and different. As foreign rights sales grew, I always mentioned the previous translation rights I had sold and the names of the publishers (to add credibility). Explain how your book is new. Publishers are always looking for something new and different. How long does it take for a foreign rights deal to happen? It really varies. My first deal, Korean, was signed within a month of sending the agent the book. The book was published three months after that. This is lightning speed in the publishing world. My second deal, Italian, took about two months because the agent took it to the Frankfurt Book Fair, by far the largest book fair in the world, which happened soon after she received the book. I was lucky to have these deals happen so quickly, but one to two months is abnormally fast. My third and fourth deals, Spanish and Portuguese, took about six months, again at a book fair. By the time these editions are released, 1 1/2 years will have elapsed. In general, the publishing world moves at a snail’s pace so you have to be patient. My latest deal, Chinese, also took over six months. But other agents have been working other countries for over a year and still have no publisher prospects. Some publishers sit on books forever. Once To Bee or Not to Bee is re-released by Sterling Publishing in the English-speaking world and establishes a sales track record, I plan on doing another email blitz to foreign rights agents in all the countries for which rights haven’t been sold, apprising them of this new information. I hope this will generate a new round of rights sales. Should authors hire someone to negotiate for them? I’m a strong believer in literary agents. Publishers rely on them to sort through all the riff-raff and know that books sent to them by good agents are worth their time considering. But most importantly, agents know what a book is worth and will negotiate the best deal for you. 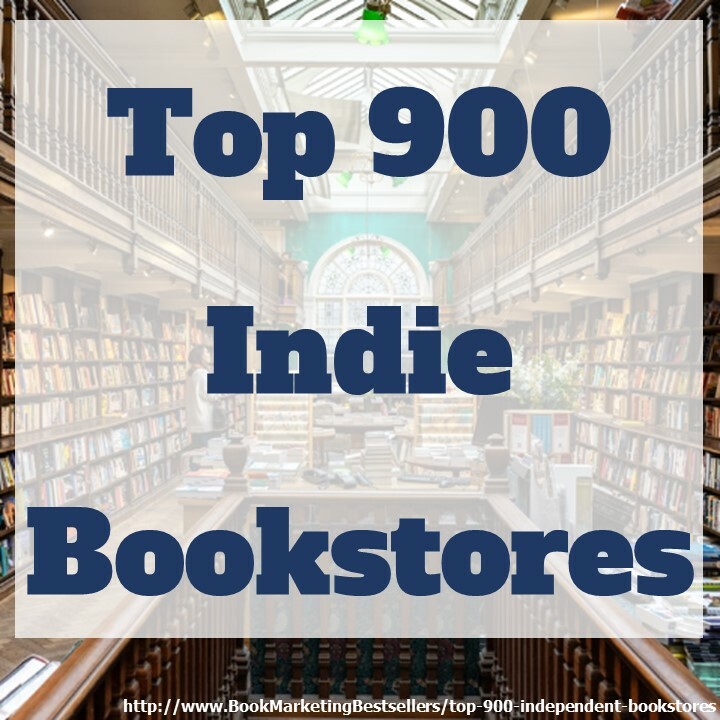 There are instances of publishers working directly with authors, but it’s a long shot. Publishers know authors are inexperienced in negotiating and desperate, so it’s highly likely the authors didn’t get the best deal possible. But you don’t hire agents. If they like your book, they choose you and then work on a commission basis, usually 15% of advances and subsequent royalties. The author pays nothing up front; the agents only get paid if they produce. Most foreign agents work with a co-agent in the author’s country, who feed them books to market, which already have a proven sales track record in the author’s country. In these cases, the two agents usually split a 20% commission. In my case it was the reverse. 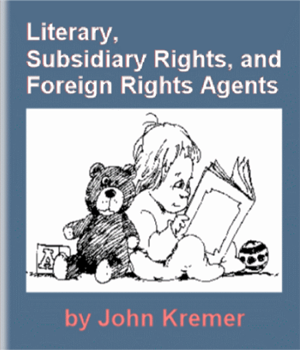 I marketed my book directly to foreign rights agents and built a track record of rights sales in other countries, which I then used to attract a U.S. agent who subsequently got me a contract with Sterling Publishing here in the U.S.
Foreign Rights Sales – Literary agents only get paid if they produce. How much time can an author expect to allocate to this process? It’s not very time-consuming. First you research foreign rights agencies on the Internet and put your list together. Then you draft your email letter and send it out. I probably haven’t spent more than a couple of weeks on this in total in a year and a half. Instead of researching foreign rights agents, simply find them in the Foreign Rights Agents report. What are the things you look for in a foreign rights contract? Because agents are the intermediary, they usually have a standard contract which they prepare and send to both parties for signatures, so the foreign contracts you see are generally quite similar. The key factors, of course, are the amount of the non-refundable advance and the royalty rate, generally only 7-8% on foreign rights, which should be applied to the retail price. Royalties are deducted from the advance. Once the advance is paid back, the publisher makes royalty payments. Most publishers calculate royalties following the end of each calendar year, though some do so semi-annually. Payments are due a quarter later. The contract should have a finite term, usually five years. If the book proves to be big with good longevity, it can go back on the market at the end of the term for much better payments. One thing that is absolutely critical is that the publisher provide a computerized statement showing sales, returns, etc. via postal mail to the author for each period. If figures are provided any other way (i.e. via email), it is too easy to fudge them. The language and geographic territory licensed should be specified. And the number of complimentary books provided to the author should be specified. The agent’s commission should be identified. One other important thing, for my book at least, was to limit rights to book publishing only. My vision is to see To Bee or Not to Bee made into a digitally animated film and so I always retained audio-visual rights. You’re dealing with a bunch of strangers in foreign countries. Once you’ve got a contract, what about getting paid? For the advance you’ve got leverage because you don’t email the manuscript file until you get the advance. But for royalties, once the advance is paid back, it can be dicey, depending upon the quality of the agents and size of the publishers you’re working with. My Italian, Spanish, Portuguese, and Chinese contracts were secured by established agencies with large publishers. They provide computerized sales reports and are very legit. Publishers in Asia and Eastern Europe can be more problematic, depending on their size and reputation. Many of these countries have only recently signed the international copyright agreements and some of the more marginal publishers still don’t feel they need to comply with them. Even if the publisher does comply, they send the money to the agent, who is supposed to send it on to you, so there’s an extra layer of opportunity for graft. They know that you have no leverage; who’s going to spend thousands of dollars hiring lawyers in a country halfway around the world unless there are clearly large royalties at stake? The only leverage you have is if you have an American co-agent involved because the foreign co-agent’s reputation is at stake within the international agent community. Even then, many American co-agents expect only to receive their share of the advance and spend little if any effort to collect royalties unless they are substantial. The moral of the story: The larger and more established the agency and publisher, the better chance you have of getting paid. The larger and more established the agency and publisher, the better chance you have of getting paid. 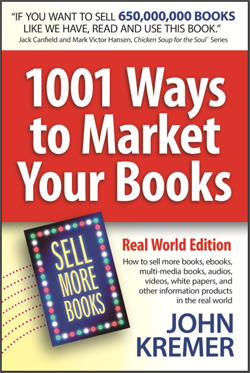 Reprinted and adapted from The Book Marketing Expert newsletter, an ezine offering promotion and publicity tips. Subscribe at amarketingexpert.com.